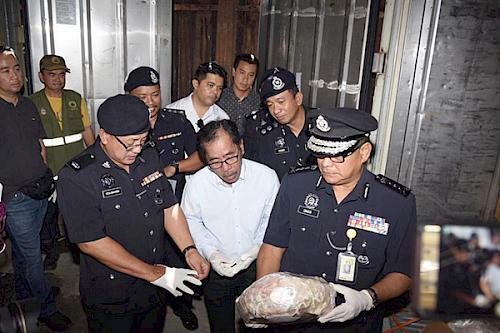 Malaysia's Sabah police seized three refrigerated containers containing 1,800 boxes filled with frozen pangolins, another 572 frozen pangolins in separate freezers, 61 live pangolins and 361 kilograms of pangolin scales. Malaysian authorities have seized a record 30 tons of pangolin and pangolin products in eastern Sabah state on Borneo, the biggest such bust in the country, a wildlife monitoring group said today. TRAFFIC said the seizures came a decade after Sabah authorities discovered logbooks in 2009 kept by another pangolin trafficking ring. It said the logbooks revealed that about 22,200 pangolins were killed and 834.4 kilograms of pangolin scales sourced throughout the state and supplied to the syndicate over 13 months.